Through an online registry run by KuB (Kontakt- und Beratungsstelle für außereuropäische Flüchtlinge e.V. 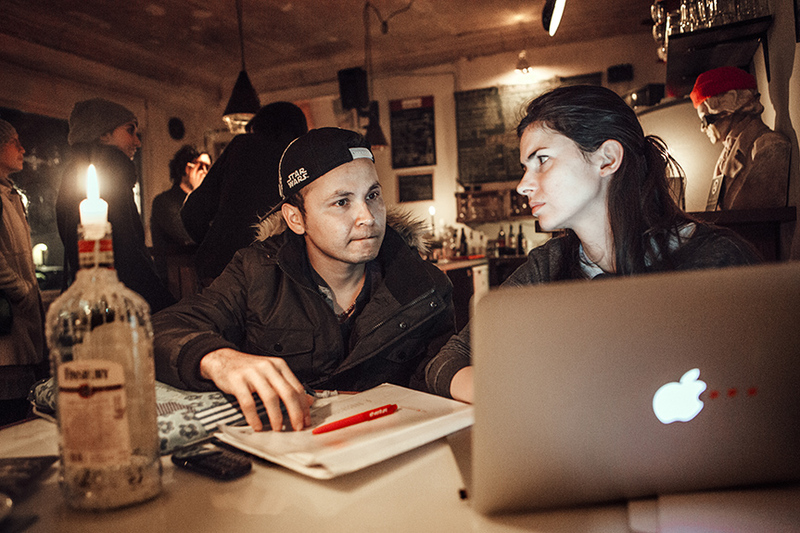 ), he met Nicole, age 31, a young professional who relocated to Berlin last year. After a summer and fall of volunteering and advocating for refugee causes, Nicole has just started a new job, and a Tandem partnership is a way to still remain involved, but on a more personal scale and on equal footing. Meeting with Omid is an exchange, not a social service: two people learn each other’s language – in this case, Omid teaches Nicole Urdu, and she helps him with his German. Of course, right now, there are also specific things that Nicole will help Omid with, such as opening a bank account, or looking for an apartment – a daunting task for anyone moving to Germany’s capital. But in the long term the dynamic should even out again, and Nicole hopes that once he is settled in, Omid will in turn extend a hand to others.